While a significant section of the luxury lifestyle publishing industry has moved in a digital direction, those who target affluent consumers continue to create luxury lifestyle magazines to showcase the best in luxury. Glossy pages with insightful information and striking photography – even in the digital age we adore turning to the thick, sumptuous feel of these high-end magazines. You could say that in the digital age of screenshots and blogs that a luxury lifestyle magazine is a piece of luxury in itself. And this is precisely why you can always find a stack of beautiful high-end magazine aboard every private jet, onboard every superyacht and fanned within reach on the coffee tables of every luxury villa. From London to New York, from Singapore to Lima, some luxury lifestyle magazines can be found across the world while others reflect the local luxury culture. While the rest of the world may mourn the coming loss of print magazines it seems the world of luxury has sidestepped this fact. For luxury brands, turning to the timeless format of print advertising to reach affluent consumers is as relevant today as it will be in the future. 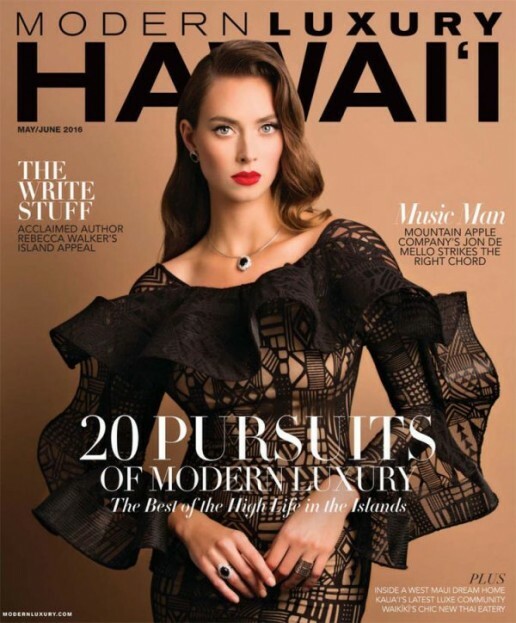 The right tone, the right style, the perfect artistically inspired content, the correct partnerships with valuable luxury brands, and a carefully curated circulation, this is the recipe for delivering a luxury lifestyle magazine that will long stay in the hands of the classiest connoisseurs. In no particular order, these are the top 20 luxury lifestyle magazines targeting the affluent in today’s digital era. As the premier luxury magazine for superyacht over 100′, Yacht Premiere’s loyal fanbase counts the billionaires and multi-millionaires of this world. To delight these superyacht lovers and buyers, Yacht Premiere has limited advertising opportunities, counting less than 10 ads per issue, and a stick editorial guideline that is simply uncompromised. What results is a stunning magazine filled with high-end photography and editorial content showcasing the most prestigious new built superyachts. Once in hand, it is hard to let it go. Experiencing Yacht Premiere is a luxury to celebrate. 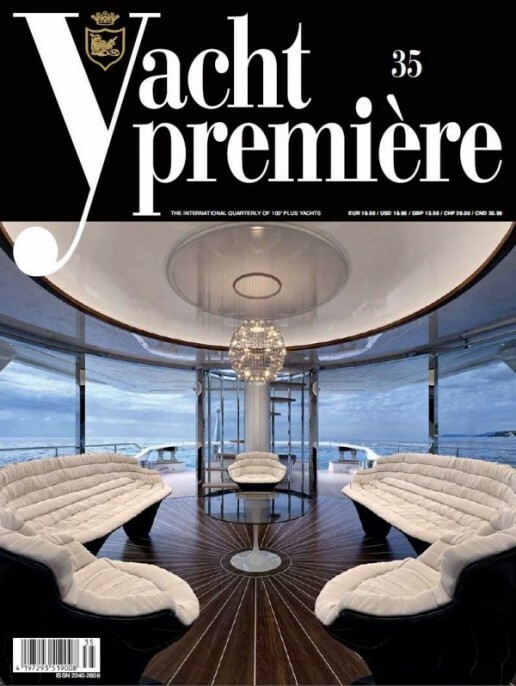 Explore this superyacht magazine at www.yacht-premiere.com. Robb Report seems to be the head sommelier when it comes to living the life of luxury. This luxury magazine has flawlessly captured the spirit of superior taste for over three decades while stoically remaining in print, teaching the world how to spot the most innovative products to have in the home, handpicking the best supercars to park in the driveway, giving glimpses into the trendiest destinations across the globe, and hinting at which stellar garments should hang in our perfectly pressed walk-in wardrobes. 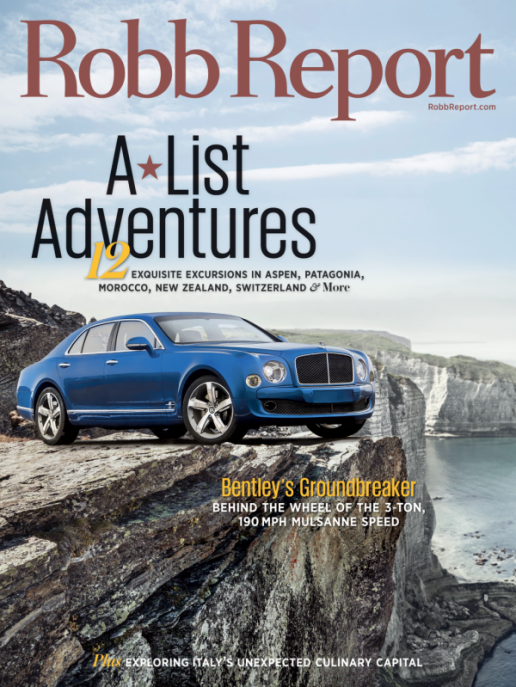 From Dubai to Los Angeles, Robb Report brings the tide of luxury ebbing at many foreign shores and is the master of whispers when it comes to the world’s finest things. Explore this luxury lifestyle magazine at www.robbreport.com. With only seven issues a year distributed to American Express Platinum and Centurion card members, those welcomed into this elite club can garner an insider’s look at the exclusive world caught between the folds of Departures Magazine. From the best new convertibles that are begging for a top-down spin along the coast, to the up-and-coming fashion designer in New York City, and the best corners to call your own in Capri – Departures delivers exceptional content to encourage you to break the bank and makes exploration a connoisseur’s choice. With over three decades of editions tucked neatly under their belt, Departures brings a beautiful and breezy style to the world of American Express that lovers of travel, culture and a high-class lifestyle will simply adore. 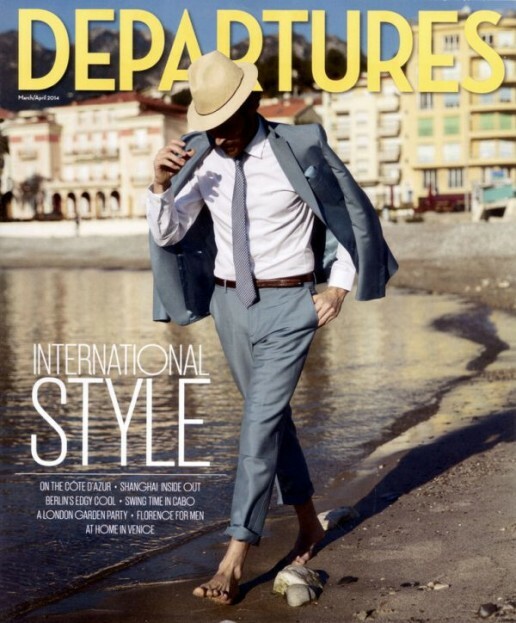 Explore this exclusive luxury magazine at www.departures.com. Like an embossed invitation to one of Gatsby’s legendary parties, once you get the Centurion Amex card you know you have made it. Yet instead of gallons of champagne, satin, and pearls, part of the reward to this elite club is the luxury of receiving the Centurion quarterly magazine. 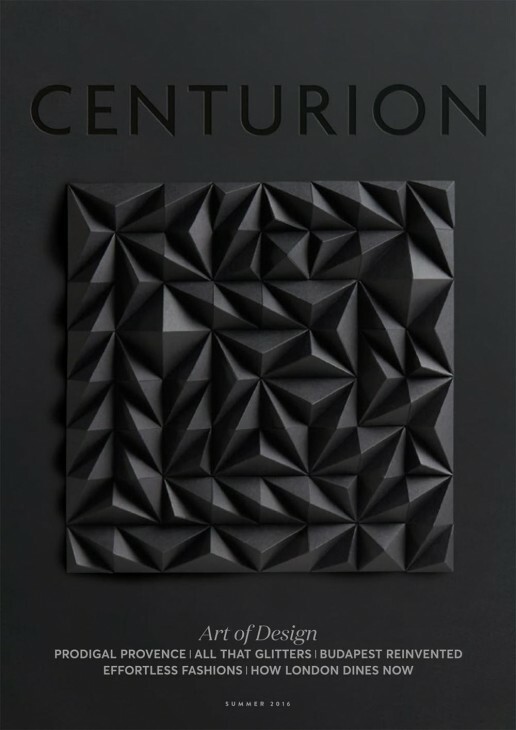 Founded in 2000 and published in several languages, Centurion is an elegant magazine of only especially curated content hand-selected for its ability to communicate extraordinary things and delivering what American Express call the art of great living. Explore this top exclusive luxury magazine at www.centurion-magazine.com. For private jet-setters who don’t have to dream about first-class travel, behind the scenes access, and Michelin star experiences then Elite Traveler was curated by you, for you. With a style that simply oozes affluence, topics that are hot enough to singe your fingers, and photography that falls fast into the category of perfection and passion, Elite Traveler is something to linger on when you are flying in your own private jet. Take a closer glimpse at the world’s best wine list to see what will be touching your lips on that European jaunt, fall in love with the fifty best restaurants recently announced, and see which Singaporean eateries are leaving diners with raised eyebrows. The bi-monthly luxury magazine has certainly been making a splash since its debutante appearance back in 2001, since then the elite crowd has turned the pages to see the top 101 hotel suites and of course the best restaurants. Those wanting to gain a firm footing in the world of deliriously affluent travel should be sure to grab a copy of Elite Traveler and become the adventurer you want to be. True to its name and very much a tout for the go bold, go big or go home way of life, Le Grand Mag believes in living extremely well and in perfecting the precision of luxury in a truly extraordinary fashion. With cities from as far as New York City to Abu Dhabi offering an elite touch of Le Grand Mag for high-class clientele, there are few magazines in the same league as this polished piece of luxury lifestyle publishing. 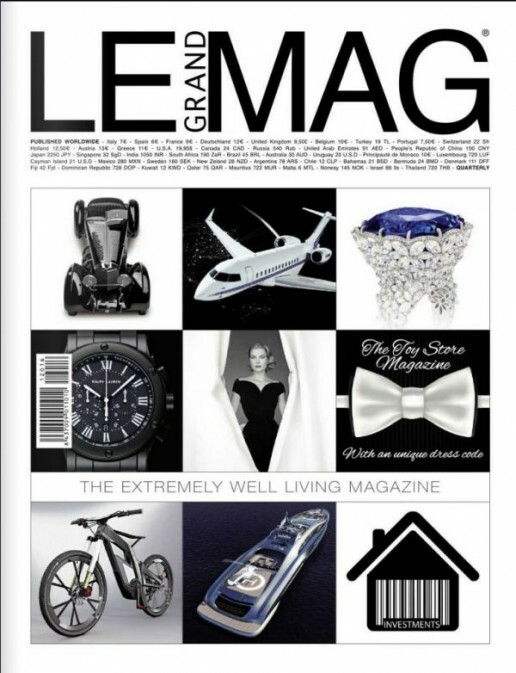 There is no doubt that Le Grand Mag is aimed at the super-affluent, those who want to be inspired by the grace of pure luxury once more. There is a playful touch of vanity and there is a hint of the radical and the wonderful that carves out this publication from being just another top shelf drawer. Inside the pages you find everything you could ever dream of when it comes to being the person who has everything, from helicopters to supercars, jewels to beauty, high-class fashion couture to private art, this whirlwind experience from Le Grand Mag reminds us to think big when it comes to wealth. Known as the “portal of luxury goods” this upscale luxury magazine is an exclusive publication that touches on everything from yachts and private jets, to real estate and fine jewelry. Whether it’s their artistic photography, their beautifully written pieces, their breadth and wealth of topic or their ability to ignite inspiration, Upscale Living knows how to curate finery in between their pages. Lazing in your hammock on the British Virgin Isles you can find out what the world’s most expensive hat looks like, which fashion brands are worth falling in love with this fall, what villas are boasting the best infinity pools and interior design from the coast of the Caribbean right down to Costa Rica, and which restaurants are worth calling ahead to ensure you get a table. Along with everything from fashion to popular features, epicurean dining, and home designs, you can also keep abreast of events happening across the globe in truly flirtatious luxury fashion, from art and fashion events in trendy Tribeca to catwalk style in Berlin and premiers in Cannes. Upscale Living delivers a high dose of luxury in a way that never fails to lose its sophisticated edge, in a way that is cloaked in incredible glamour and in a way that makes us want to eat, sleep, dress, dream, think, live and play in the meadows of pure unadulterated luxury. As a series of city guide luxury publications, Modern Luxury offers its readership a selection of 84 titles across 24 affluent markets. Whilst many will turn to the glitzy shores of Miami, the star-studded hills of LA and the magic of Manhattan when talking about American wealth and prowess, Modern Luxury proves that luxury can be found across the USA including cosmopolitan cities of Atlanta, Chicago, San Diego, Houston, San Francisco, and Boston. Regardless of the city of choice, Modern Luxury puts back sophistication and class into its lifestyle. Hailed as champions of style, those seeking where’s hot and where’s not can certainly use Modern Luxury as their tailored and tapered guide to finding all the fine things right on their doorstep. Browse this luxury lifestyle magazine at www.ModernLuxury.com. 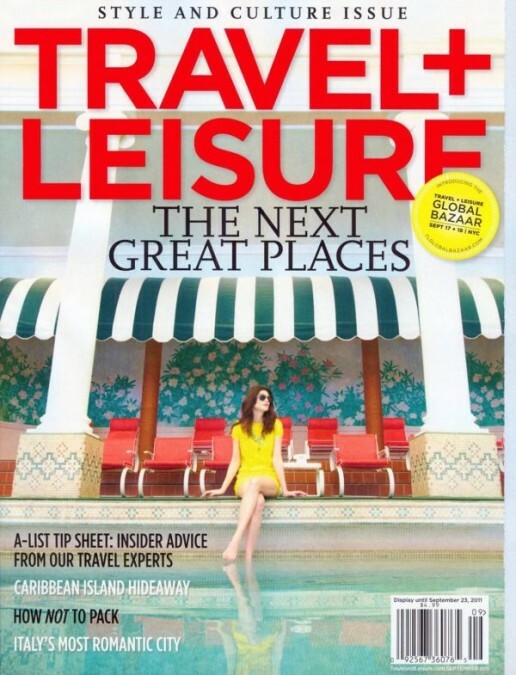 As part of the Time Inc. network of publishing, you couldn’t expect anything less amazing from Travel & Leisure. Travel and Leisure just know to create something great, the sharp-eyed photography, the tantalizing titles, and the well-written words – these are all wisps of wonder that seamlessly tie together under one of the world’s best-known luxury travel magazines. Those seeking a dose of travel inspiration can find it all crammed into the pages of Travel & Leisure, laid out in a way that resembles a banquet feast for worldly explorers, and a table lined with the finest silverware and fresh linen napkins. Browse this luxury lifestyle magazine at www.travelandleisure.com. Travel inspiration curated to its very finest comes shining through the pages of Afar Magazine. 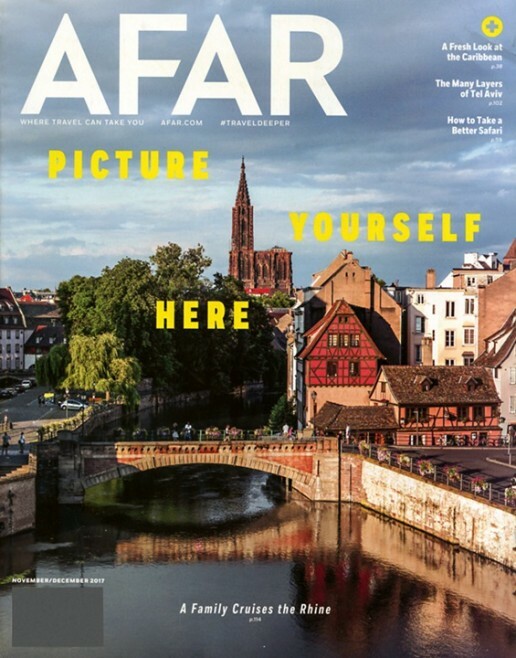 Beautiful photography showcasing the colors of culinary magic, images of wild beaches, rising mountains, and Europe’s oldest cities encased in elegant appeal, when flicking through Afar you know you have arrived. Yet it’s not only the pretty pictures that light up Afar but the bold and brave content that finds its way between the pages. Here you won’t find the usual trodden trails of go here, see this, eat that but you will find words that are bravely spoken from the heart and more geared towards cultural connections and understanding the world that flows from the patch of ground you are standing on. Afar magazine is wrapped up in pretty paper but beneath the folds, you find a heart that beats with complete authenticity. The features are real snapshots of local life, real explorations of the cultural chaos that marks the streets, and curious adventures out of the ordinary and into the shadows so people can truly get a feel for a place. Afar magazine isn’t just about stepping off the beaten track, it is about releasing the grip on your mind to truly explore from the inside out.